i get around 400 emails per day so adding them to contacts isnt option to me unless there is way to automatically add new emails as contacts? while is there i ask is there option to after copy and paste what i paste look like this? 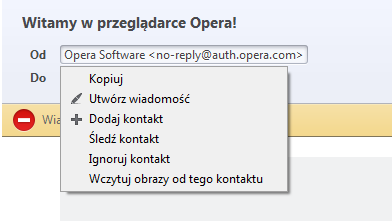 is there any way to change some setting in opera mail so that frim field only show and only have actuall email?